Building and maintaining a successful business often means having the right people in key positions. This is true not only for the officers and employees of your company but also for the professionals your business works with on a regular basis. Hiring an experienced business attorney to represent your company is a smart business move. This firm handles business law matters in the realms of transactions and in commercial litigation, and among our many business-oriented services, we can advise you business formation strategy for when you are first getting started, draft and review business contracts, conduct due diligence reviews if you are considering acquiring another business, and represent your company in commercial litigation. One of the first decisions a prospective business owner must make is to determine what type of legal entity the new business should be. This is a decision that should be made with the advice of experienced business counsel. 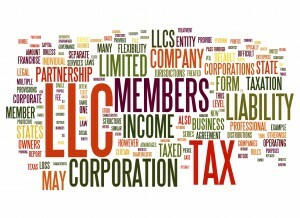 The choice of entity determines, among other things, how the business will be taxed, how the taxes will be reported; whether the company must appoint a board of directors; whether the owner can be subject to personal liability if the business is sued; and how the business can obtain investors. As you can see, entity formation is a major step with far-reaching consequences. Over the lifespan of a business, legal disputes can arise. Sometimes these disputes can be settled by renegotiating or clarifying a contract at issue, but sometimes they require litigation. In either case, having a commercial litigator on your team is essential. Because contracts are a key and virtually ubiquitous part of doing business, it is unsurprising that breach of contract cases are among the most common in commercial litigation. Your business likely has several contracts in place at any given time. These agreements include contracts between your business and its current employees, former employees, landlord, vendors, customers, insurers, and business partners/joint ventures, among others. A breach of contract occurs when one party to a contract does not fulfill its obligations under the contract. An experienced corporate lawyer can help you decide whether your business can resolve a contract dispute with another party through negotiation and drafting, pre-litigation settlement, or whether a breach of contract lawsuit should be filed. Remember that, under the law and under most contracts, the prevailing party in a breach of contract suit is entitled to receive attorneys’ fees from the breaching party.